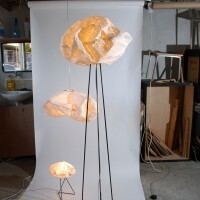 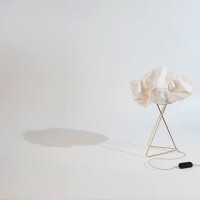 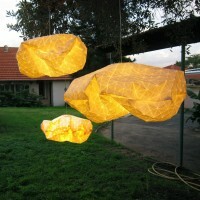 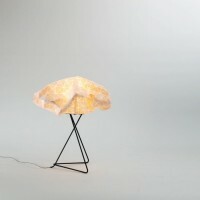 Ori lightning series is the offspring of a collaboration between Producks design studio and textile designer Mika Barr. 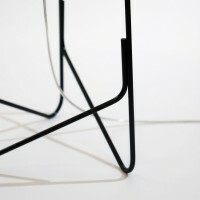 The design starting point was Mika’s Folding Apart fabric. 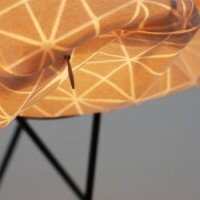 The fabric has a special print on it that gives it an inner structure making it fold according to the printed pattern. 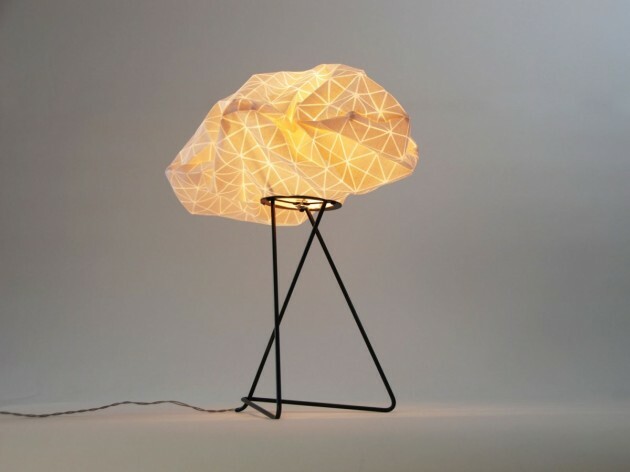 The name comes from the word ‘Ori’ that means folding in Japanese, and also consists the word ‘Or’ which means light in Hebrew. 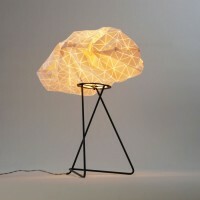 The idea behind Ori was to create a volume of light in a new manner and to create a new typology. 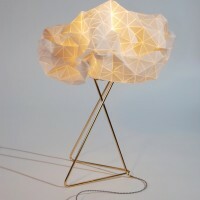 The geometric cloud-like shapes are manufactured identically, however, Ori makes the user part of the process, giving him the opportunity to interfere in the final design and give it a unique shape. 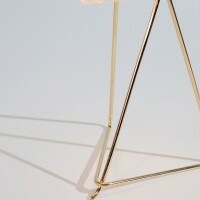 The shape can be changed time and time again. 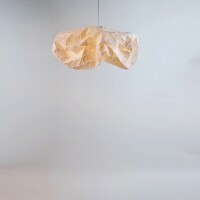 The folding affects the shape when the light fixture is turned off and even more so when it’s turned on, giving the light many tones and shades. 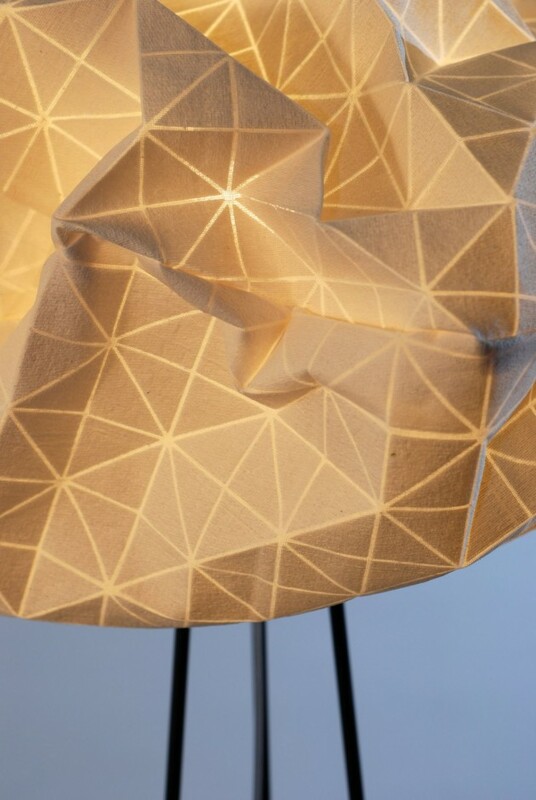 The light coming through the fabric also reveals the inner geometric structure printed on the inside of the fabric. 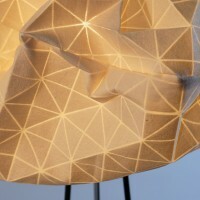 Ori is made of a closed pillow-like shape, when you need to replace the light bulb you just open the hidden zipper. 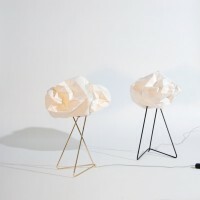 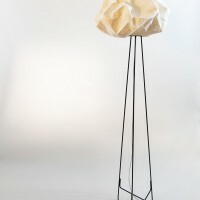 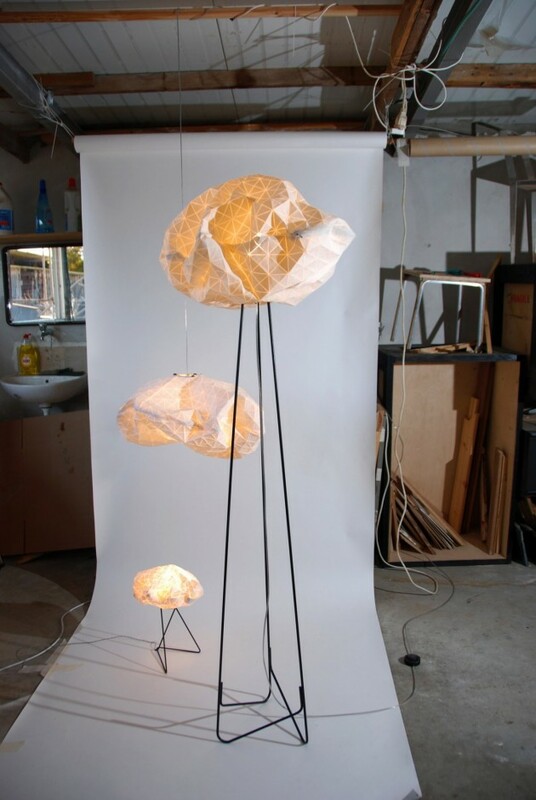 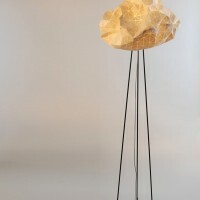 The series consists of a pendant lamp, a floor lamp and a table lamp. 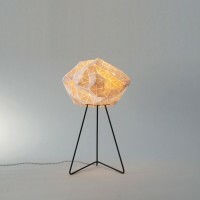 The lamps are available for order through our website, and we are now looking for a manufacturer to take Ori into mass production.